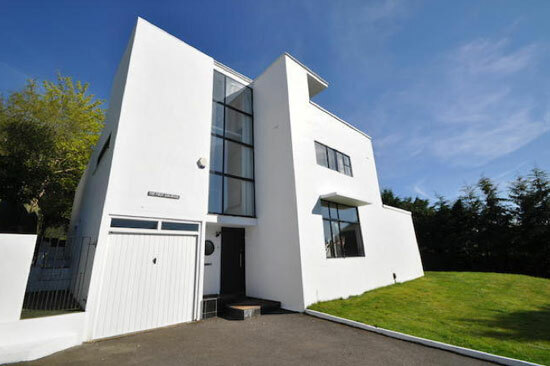 The most famous house in Amersham is High and Over, one of the most famous modernist houses in the UK. 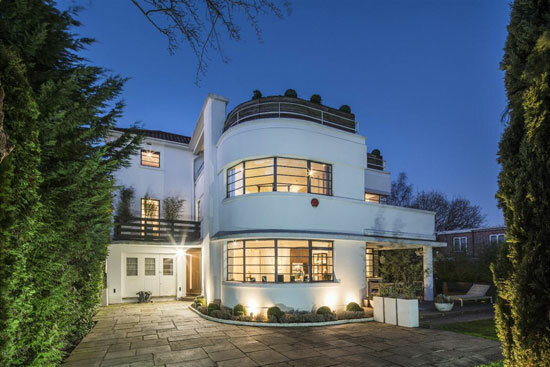 But the same architects produced a few other similar properties too, one of which was up for rent a few years back and another being this 1930s Connell and Ward-designed modernist property in Amersham, Buckinghamshire called The First Sun House. 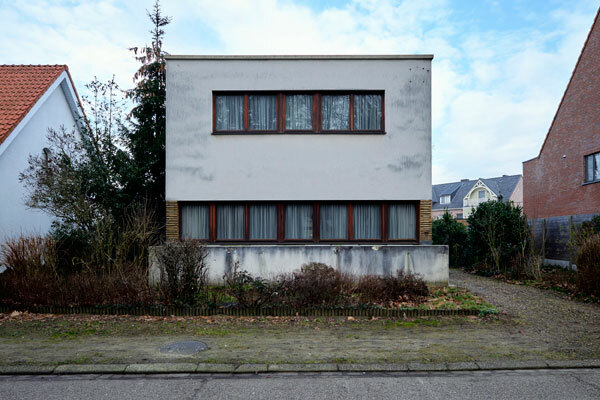 On the outside, this is the 1930s modernist dream, the work of Amyas Connell and Basil Ward and dating to around 1934. However, compared to the previous houses mentioned above, this isn’t quite up to those standards. 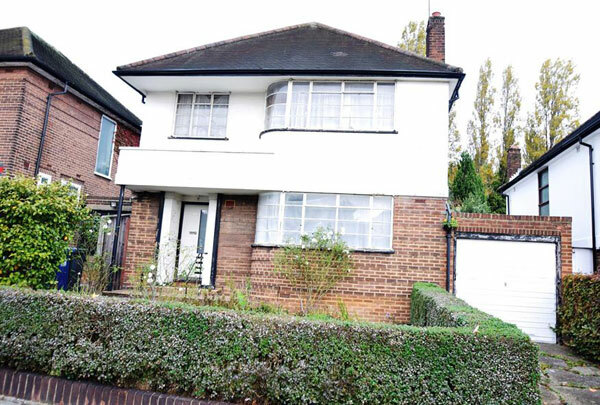 The problem for us is that the house has been seriously modernised inside. It’s a nice, clean finish, but it doesn’t really scream ‘modern movement’ to us in the shots we can see. But that exterior – that really has the wow factor. This is a head-turner every day of the week. It also has a rather cool roof terrace too, which offers great views and a great place to relax on those summer days and nights. So double wow factor. 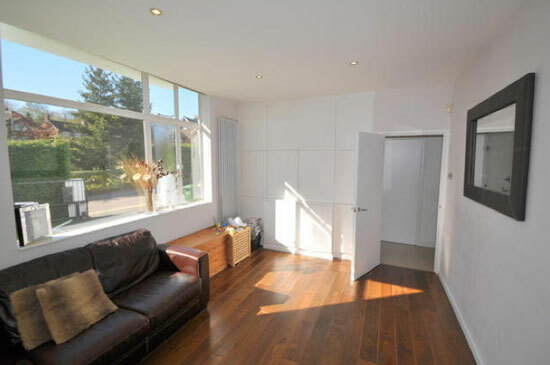 As for the inside space, that covers three levels, with a garage built into the property. 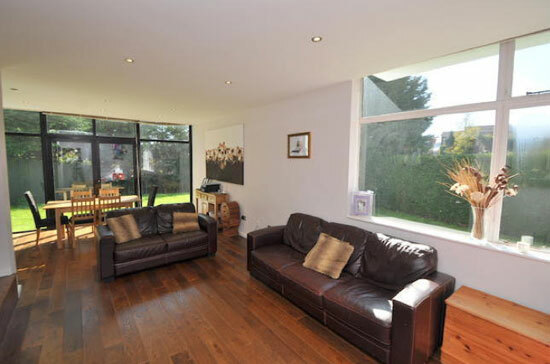 You’ll find an entrance hall, a cloak/shower room, a living/dining room. a breakfast kitchen with separate utility room, a master bedroom with dressing room, three further bedrooms, two bath/shower rooms, a study and those roof terrace. All nice, clean and free-flowing inside, with some well-maintained garden space on the outside too. 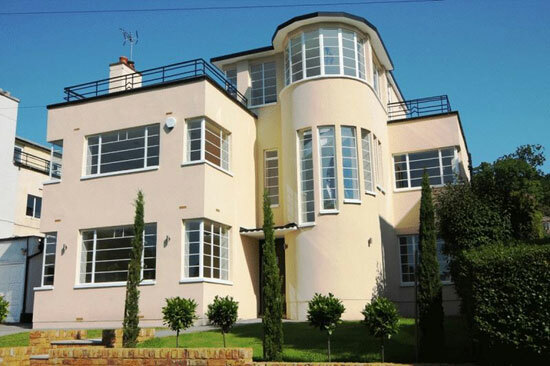 More images in the gallery and if you like it, you’ll be looking at £900,000 to secure it.